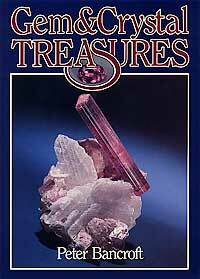 Editor’s Note: We are pleased to reprint this selection from Peter Bancroft’s classic book, Gem and Crystal Treasures (1984) Western Enterprises/MineralogicalRecord, Fallbrook, CA, 488 pp. ne of the world’s most beautiful and exotic islands, Sri Lanka, (formerly Ceylon) lies just below the southern tip of India. This pear-shaped bit of tropical paradise, about the size of Sicily, is a tourist’s delight offering British teahouses, rubber plantations, and gem mines. Marco Polo wrote of his visit in 1292: “I want you to understand that the island of Ceylon is, for its size, the finest island in the world, and from its streams comes rubies, sapphires, topazes, amethyst and garnet.” Little has changed since Marco Polo’s time except that Sri Lanka faces overpopulation and a faltering economy. Its gemstones, however, seem to occur in endless supply. Known as the “Jewel Box of the Indian Ocean,” Sri Lanka, like possibly no other locality on earth, has yielded precious stones and fine gems in a great profusion of gem species and varieties. The island was known in the ancient world as Taprobane (copper colored in Greek). Native Veddahs, bathing in smooth flowing streams, noticed colored pebbles scattered in sandy bottoms. It was not until 500 B.C. that conquering Buddhists from northern India also discovered gems in the rivers and began to set rough stones into crude jewelry. They bartered stones with traders from abroad and eventually the treasures found their way to the marketplaces of Asia and Europe. 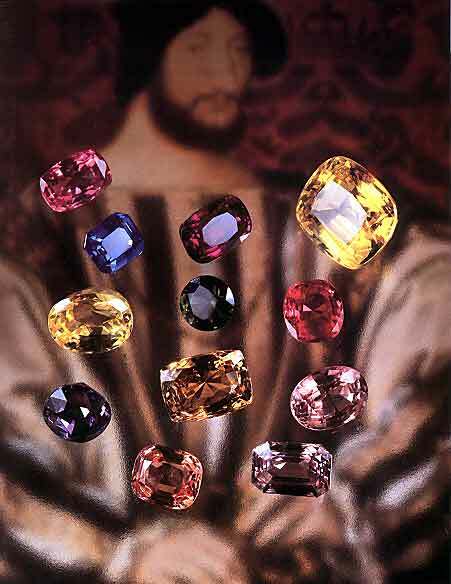 Ancient Greek and Chinese historians referred to the beautiful gems of Ceylon, and King Solomon reportedly wooed the Queen of Sheba with Ceylonese precious stones. Geologically, gemstones originated within a broad belt known as the Highland Series which runs through the center of Sri Lanka. The edges of the belt form a trough bordered by chains of mountains and peaks. The trough, made up of highly crystalline Precambrian metamorphosed rock, featured components of schists, quartzite, marbles, and sometimes pegmatite deposits. Rock erosion resulted in the formation of extensive gem-laden placer deposits along stream beds in lower valleys. Size: 3.5 by 2 cm. 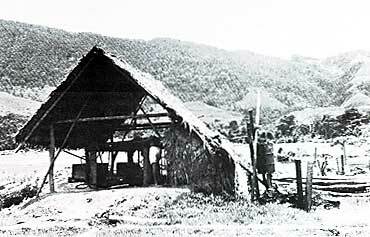 Miners soon learned the richest deposits were composed of blue and yellow clays called illam which lay just below the surface of lush valley farmlands. During their tortuous journey downstream, most gem crystals were worn to rounded pebbles, but harder than host minerals, they managed to retain much of their size. 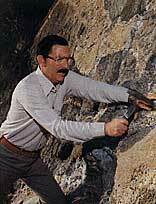 Every available square meter of stream bed was mined until all known gem areas were exhausted. The miners discovered that the rivers they were working were in reality “surface streams” and that by digging downward from 7 to 30 meters, “ancient streams” could be encountered. Unfortunately most of the ancient streams lay beneath cultivated fields. 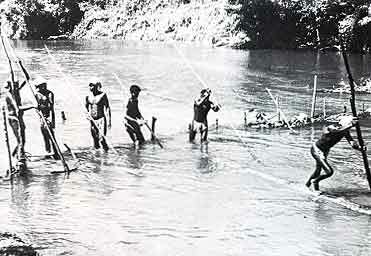 Prospecting and mining operations caused great destruction to crops and created considerable animosity between farmer and miner. 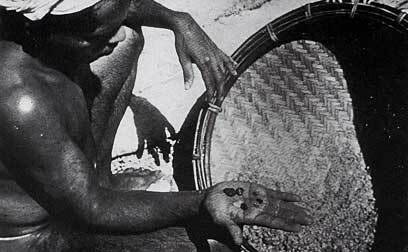 Eventually new mining methods were devised whereby the gem hunter could operate at a profit and still leave the farmland virtually intact. A vertical shaft was dug downward until the illam was reached. Feeder tunnels extended in a number of directions like the spokes on a wheel. 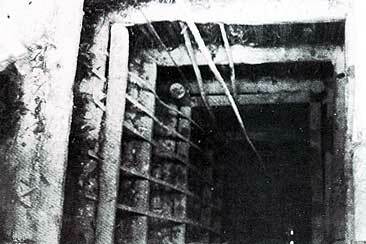 The shaft and tunnels were carefully supported by wood and bamboo timbers. The miners dug along the tunnels, loaded the gravel into knapsacks, and then climbed to the surface with their loads. Washing, screening, and sorting occurred on the surface. Usually pumps operated full time to keep the tunnels free of water. When a mine played out, the tunnels were closed off, the shaft filled, the buildings removed, and new topsoil spread over the area. As another growing season approached, all vestiges of the mine vanished. 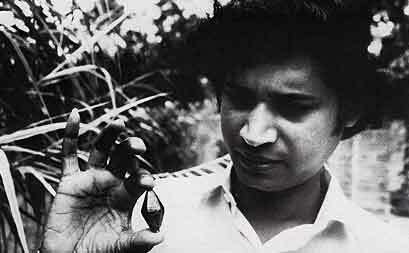 In 1974 when the author visited Sri Lanka, the Pelmadulla mine was in operation about 15 kilometers west of Ratnapura. 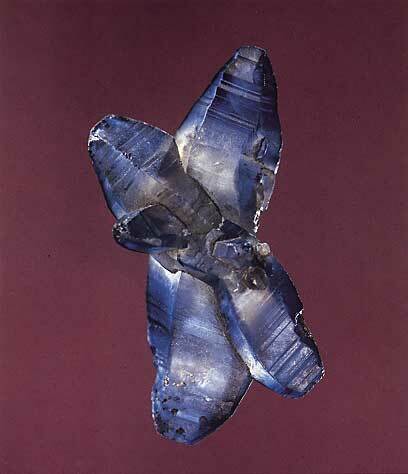 It proved to be a good producer of white and cornflower-blue sapphires. Like all gem gravel mines on the island, when the Pelmadulla was worked out, its shafts were filled, its sumps removed, and rice was planted over the old workings. Today it might be impossible to locate the old mine site. 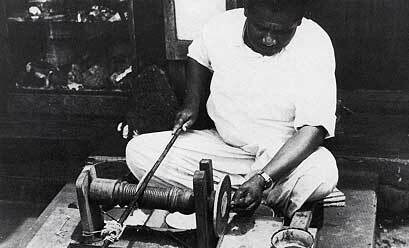 Ratnapura (Singhalese for ‘gem town’) lies about 100 kilometers southeast of Colombo. Its mining region has produced an incredible variety of gemstones, many of them outstanding in comparison with stones from other regions. 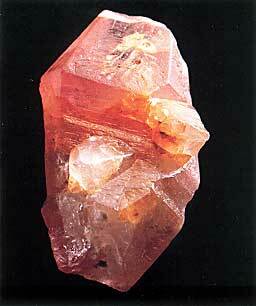 Sapphire occurs in all hues of blue, as well as yellow, violet, green, pink, and the remarkable pinkish-orange “padparadsha.” Other gemstones include topaz in bright yellow with a reddish tinge; brownish yellow to cinnamon-colored grossular; orange-yellow spessartine; blood-red pyrope; red to brownish red almandine; the world’s finest zircon in a broad spectrum including brown, yellow, orange, green, and colorless (known locally as ‘Matara diamond’—a misnomer); green, yellow, and brown tourmaline; yellow, green, and brown chrysoberyl; yellow chrysoberyl cat’s-eye; the unique white translucent variety of microcline with a blue sheen known as moonstone; and great quantities of spinel in brown, green, blue, purple, violet, yellow, pink, and red. Unusual and rare stones from the same area include sillimanite, andalusite, scapolite, enstatite, kornerupine, diopside, and sinhalite. 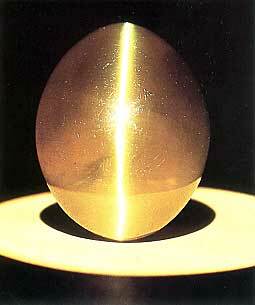 Recently a 5000-carat cat’s-eye chrysoberyl, the size of a man’s fist, was taken from a mine near Ratnapura. “Gemming” a river. Disturbing the gravels with poles causes waste to float away, leaving gems to be gathered from river bed. Local lapidaries cut most of the island’s gem rough. Striving for maximum weight in each finished stone, cutters frequently align the faces poorly with the center of the stone. Therefore, many stones must be recut, causing a weight loss, before reaching their full potential. The forests of Sri Lanka are being felled in the vanguard of an expanding population. As natural habitat vanishes, so go the remaining wild elephants, pythons, crocodiles, bears, leopards, wild boars, and other wildlife. With these changes, much of Sri Lanka’s primitive charm will disappear. But many untouched gem areas remain and await exploitation. In all probability the Jewel Box will continue to give up its precious treasures for centuries to come.